Imagine being able to walk down to Dogwood Lake with a picnic basket and company in tow, and settling down to enjoy a nice water view with your meal. 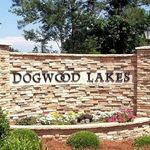 That’s an excellent possibility if you choose to purchase in the community of Dogwood Lakes, a Stevens Fine Homes community with about 141 home sites in total. One of the only communities in the area to offer walk-out basements on select home sites, Dogwood Lakes provides energy wise Craftsman and European Style home plans that are sure to make your wallet happy, as Stevens is one of the most affordable builders around. Homes range from 1,600 to 4,000 sq. ft. with 3-5 bedrooms and 2-5 baths. Some of the home features include: walk-in closets, marble-topped vanities, separate soaking tubs and showers, breakfast areas, 9 foot ceilings, sun rooms, hardwood flooring, irrigated yards, and more! Dogwood Lakes features a picnic area, gazebo, sidewalks, and water features. It’s located 5-10 minutes from Topsail Island and the beautiful beaches located there. It’s a short drive from Harris Teeter and Lowes, plus numerous restaurants and quaint coastal shops. 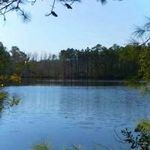 As a bonus, Dogwood Lakes is located in the award winning Topsail School District. If you’re looking for more entertainment, food, and nightly shows, Hampstead is located about 15 minutes from Wilmington. It’s definitely a location surrounded by convenience.